Miss New Hampshire Teen USA 2012 pageant was held last November 28, 2011. And the beautiful Marisa DeLuca was crowned as the new winner. She will be the official entry of New Hampshire in Miss Teen USA 2012 contest next year. 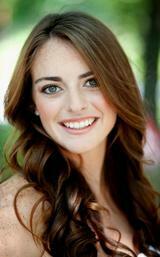 My name is Marisa DeLuca, I am 17 years old and am competing in Miss New Hampshire Teen USA 2012. I am so excited for the pageant in November and can’t wait to meet all the girls! I am incredibly grateful to have the privilege to compete this year. I want to be able to set a good standard as a role model for other girls today. I also would like to help prevent bullying, and make my voice heard on this subject. I am outgoing, caring, and enjoy volunteering very much. I would like to thank all of you who are supporting me through this amazing experience! My sponsors, friends and family, you guys are the best.